This was our first visit December 2007, after a 12 hour drive, and a six inch snowfall over night, we made it to the museum. The town was basically shut down, from the snowstorm, and the major ice storm that hit the week before. Many places were still without electricity. We had the first tour of the day, along with a boy scout troop from Wichita, that was on a polar bear camp out. 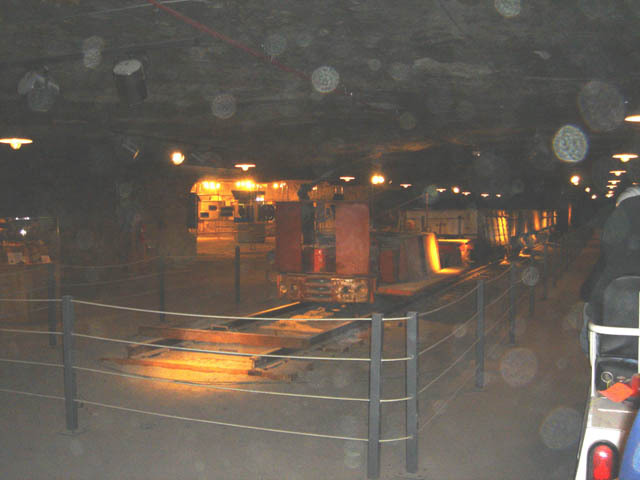 The tour starts with a safety video explaining the use of the mine rescue re breather, then followed by the tour guide giving a brief history of the mine. 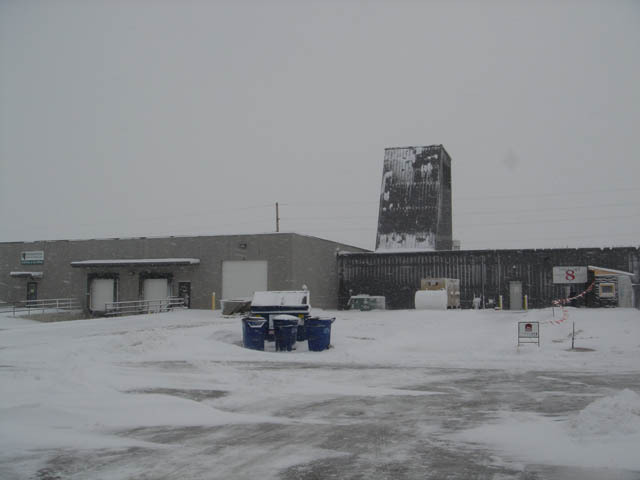 From there it is a ride in a double decker elevator, 16 passengers per deck down the 650 foot mine shaft to the bottom. The elevator ride is about 1 min in total darkness. 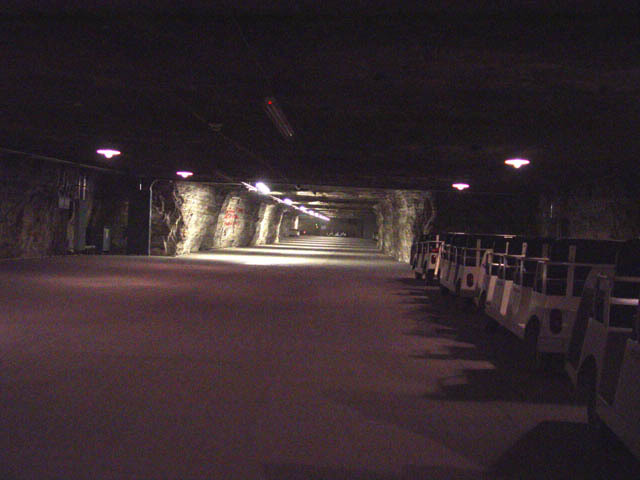 once at the bottom you board an electric powered visitor tram, much like a golf cart with multiple trailers, and take the ride through the mine system. 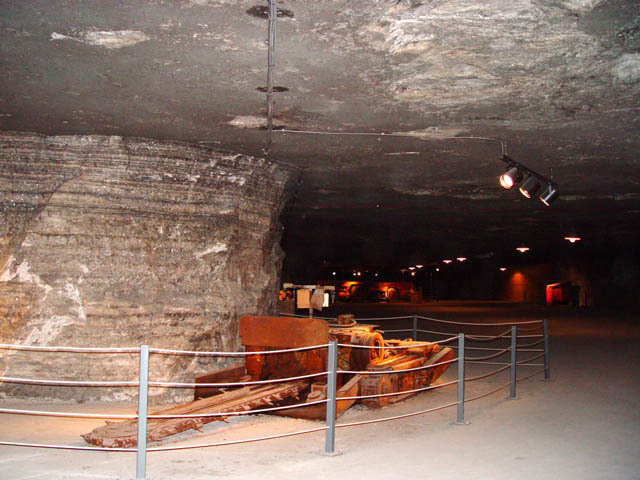 During this ride further information about the history of the mine, and other geological related features are discussed. 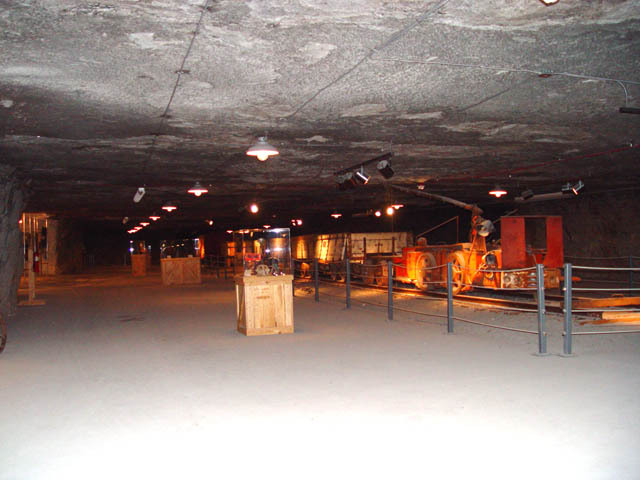 Once the tram ride is finished, you are dropped off near the main museum section for a self guided tour of the mine equipment, such as the under cutter, drills, and other various pieces of equipment are or were employed. Some of the exhibits have short user activated videos to explain the processes. 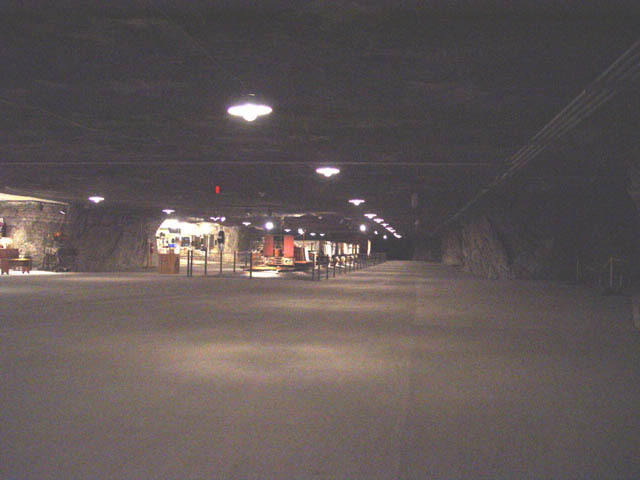 The museum is part of a co-operative with the Underground Vaults and Storage company that uses a vast portion of the mine for storage of records from many countries, along with a lot of hollywood film and retired props. 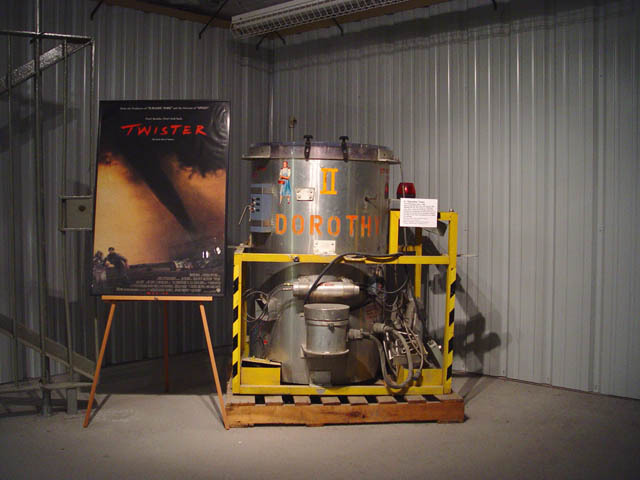 Some of these more famous props are set up in the second part of the self guided tour. 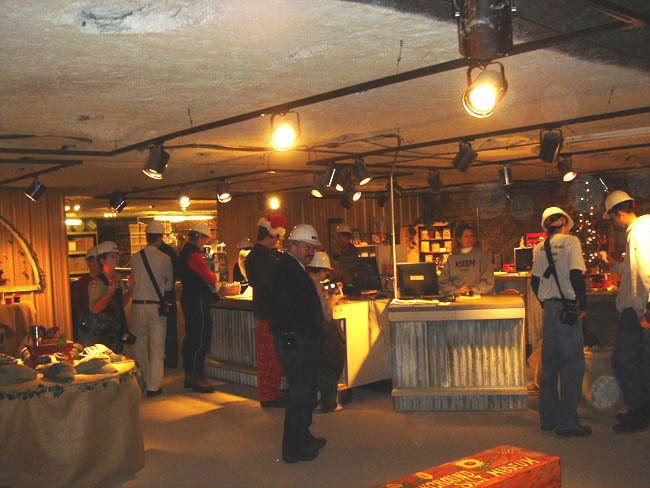 The tour finishes up at the underground salt museum gift shop. 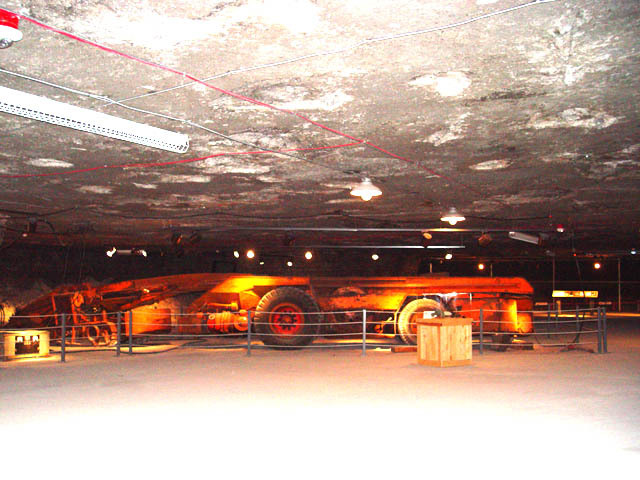 It was explained that the mining operation (you may have seen this on Discovery channel's Dirty Jobs) carries on 27/7 just a few miles away, and that even though they were working, and even blasting that because of the distance it cannot be heard at the Museum. The Museum is just really getting started, and it looked like a good deal of new construction was underway. I would estimate that the maximum tour capacity would be around 350 people a day, so if this place becomes more of a popular spot, it may become difficult to get in without a longer reservation.